So this is the second instalment of the Pixie Maxi Challenge. If you missed the first one you can view it here. 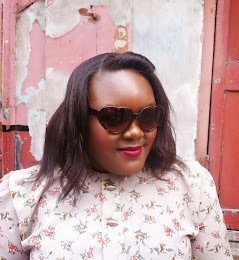 This time I headed to New Look and River Island. I found some really lovely dresses. But, er, I had a small (pun totally intended!) problem with some of their lengths…it is important to note however, I'm 5'1" so results will obviously be different depending on your height. This strapless dress is the lightest dress ever! 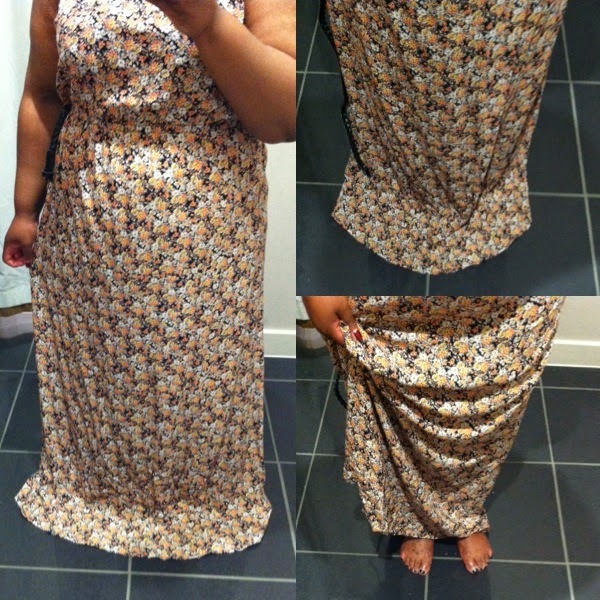 I felt really comfy in it and had loads of room for a size 16 due to the elasticated waist under the bust. As much as I like the print and the dress, I’m someone who gets quite hot and sweaty, so would worry about patches with the material. Also, as you can see from the pictures, it’s far too long on me. I would need to get quite a bit taken off to avoid tripping over myself! It comes in sizes 6-16 (I'm wearing a 16 here) and made from 100% Viscose. This is also strapless and has a shirred top so you’d be fine to size down with this one….in fact, I think I could have sized down further. The print isn’t what I’d usually go for but I thought I’d use this opportunity to try new prints and shapes to see if I fell in love with something out of my norm. I like this dress, but don’t love it and again, the dress is far too long on me. It comes in size 6-16 (I'm wearing a 16 here) and made from 96% Polyster, 4% Elastane. Unfortunately this dress isn’t online. I don’t know if it’s down to no longer being in stock, but it’s not on the website. I love this! 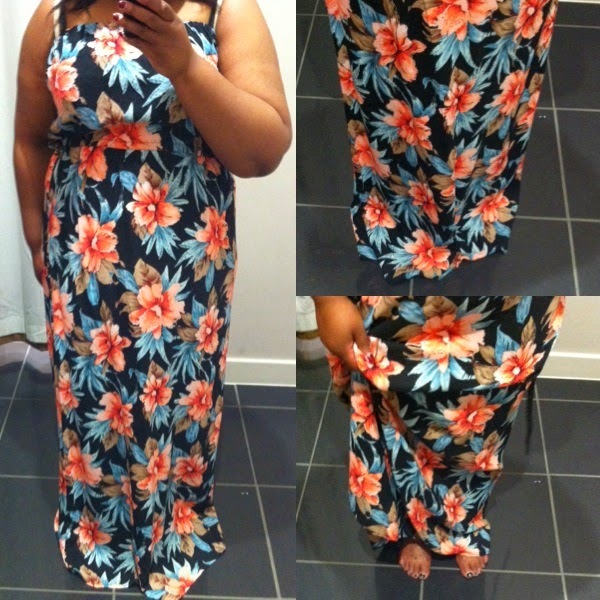 The colours and the print are great, it’s floaty and I felt super comfortable in it. But there is a problem....a rather ridiculously huge problem – the length! I couldn’t quite believe how long this dress was! 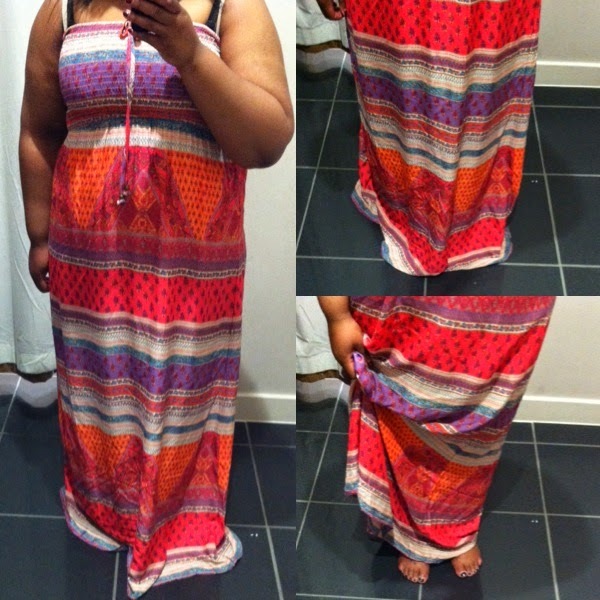 Nope, I didn’t pick this up from the tall range; this is a main range size 16 and it’s a dress and a half on me! It’s such a shame because I would have bought it in a heartbeat otherwise. How cute is this dress?! This is the only dress I really fell in love with from the Inspire range. The print is gorgeous, and I could definitely see myself wearing this and feeling utterly happy. It’s not as long as the others, but still a bit too long for me without being altered. This might be a payday purchase if there are any left – they’re selling very fast! 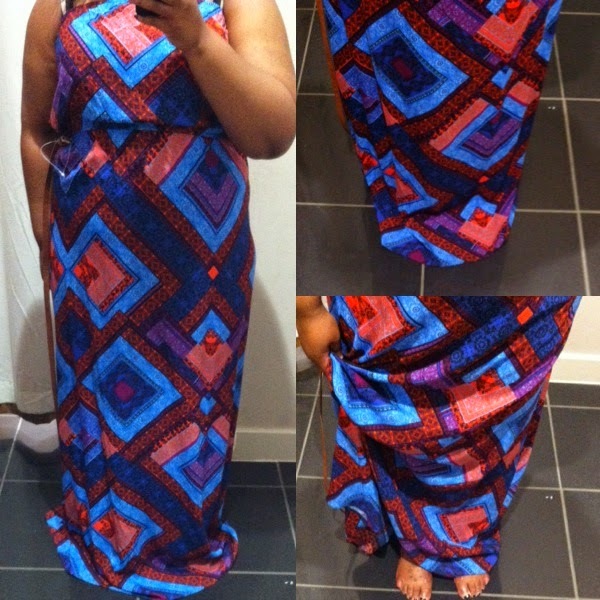 It comes in sizes 18-30 (I'm wearing an 18 here) and made from 100% Viscose. It’s a shame I couldn’t find this one in a size 18 in-store because the 16 is too small over my tummy. The length is good, it has spaghetti straps, and the bright coral is definitely not something I would have gone for usually, but I’m loving it on me! I may pop back in after payday to see if I can find myself an 18 before ordering. It comes in sizes 6-18 (I'm wearing a 16 here) and made from 100% Cotton. I couldn’t not try this dress on, the print demands it! In truth, I’d never wear a dress with this print, but I was really interested to see how the shape looked on me. I’ve concluded this shape doesn’t really do much for me so I probably would veer away from as it’s very straight despite the split at the side, but the length isn't too bad. 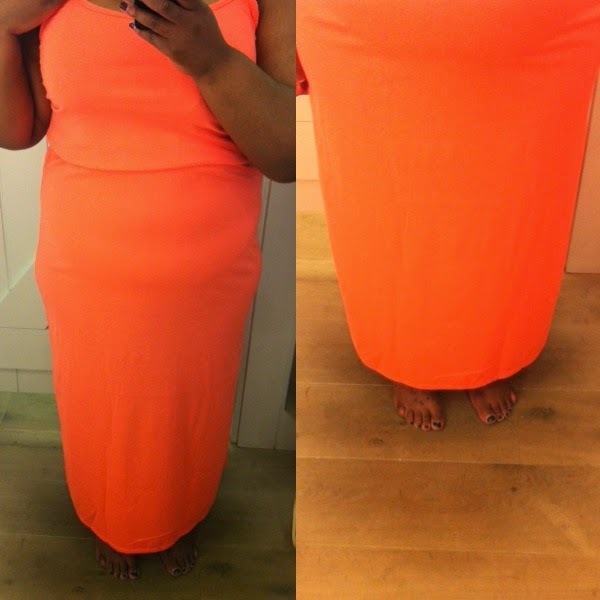 It comes in sizes 6-18 (I'm wearing a 16 here) and made from 95% Polyster, 5% Elastane. 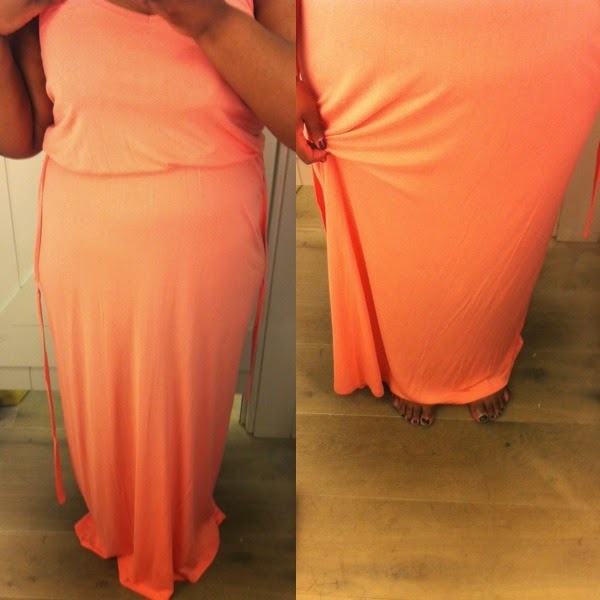 This coral is a lot more subtle than the first dress and looked great on (dress also comes in back). It’s really light and I really like the fact it has spaghetti straps. It’s slightly too long on me though, but the tie waist would help with that. It comes in sizes 6-18 (I'm wearing a 16 here) and made from 100% Viscose. So there you have it. Nine maxi dresses and unfortunately, only one of them are the right length from my pixie frame. The final instalment will be up next week so keep an eye out for that! 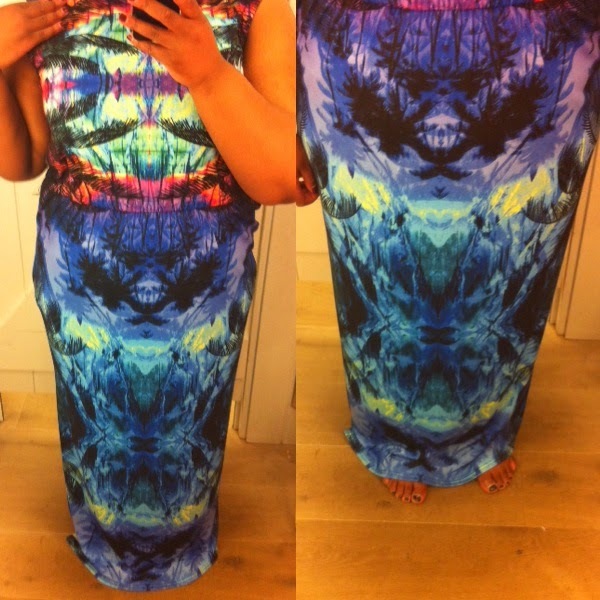 The abstract River Island dress is absolutely gorgeous on you!